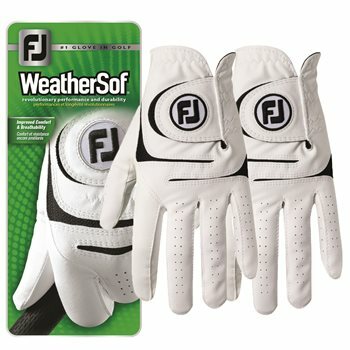 The FootJoy WeatherSof golf glove is the #1 selling golf glove in the world and combines revolutionary performance with maximum durability. Premium cabretta leather, specifically located along the thumb and extended palm patch, extends durability and grip performance in key wear areas. FiberSof material provides a softer feel and more consistent, comfortable fit. Strategically placed breathable, dual PowerNet mesh inserts located across the knuckles, adds an extra measure of comfort as the hand flexes. Review by dlee2, 1 year ago. Review by Branden , 6 months ago.